One of the many enjoyable details of the Netflix hit Stranger Things is the dedication to the 1980s theming and style on display throughout. From TV and movie references to the fashion choices, the design team has clearly made a huge effort transport viewers back to that era. It's Dustin's fantastic looking hoodie, emblazoned with a Brontosaurus, or "thunder lizard". 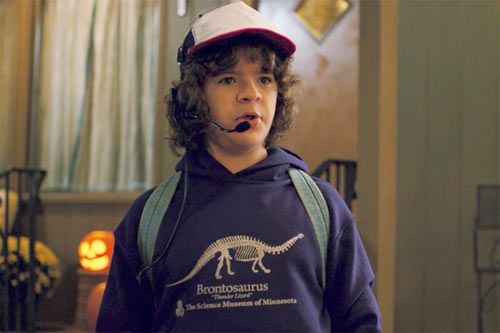 The hoodie was originally produced by The Science Museum Of Minnesota and, after spotting actor Gaten Matarazzo modelling the item in the first episode of the latest season, they decided to reproduce a limited number in order to raise money for their continued work in the local area. 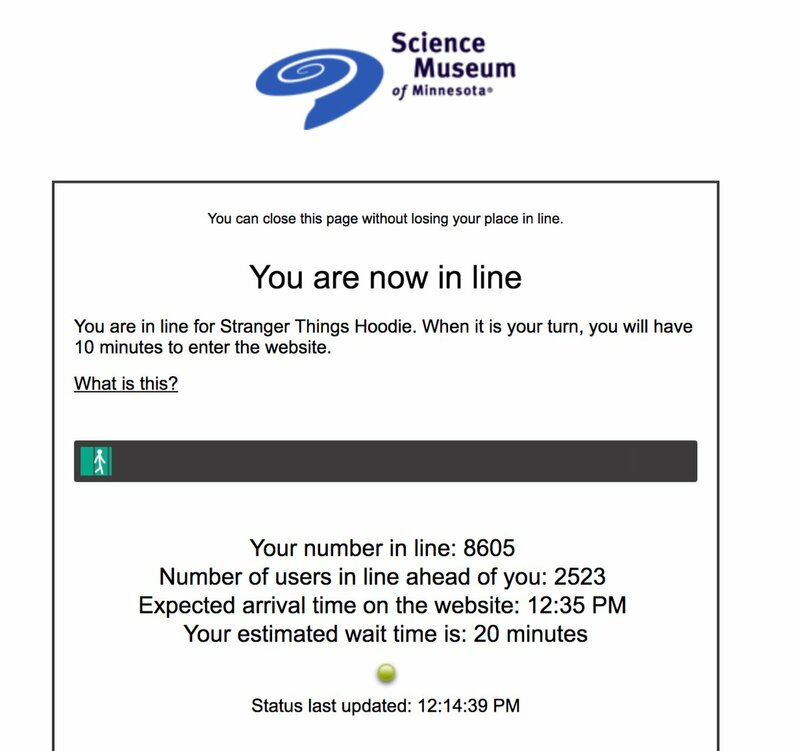 Yep, that's a 20 minute wait behind over 2000 people to buy a dinosaur hoodie. Delightful. 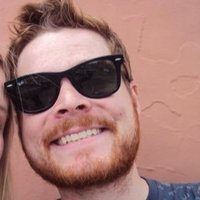 At the time of writing, the hoodie is still available for purchase on the museum's website, along with t-shirts and sweatshirts bearing the same design. The hoodie is retailing for $36.95. There are also limited supplies available at the museum itself and rumours abound that it may soon become a permanent item in store.